The HeadCat was formed as a result of an Elvis Presley tribute album called ‘Swing Cats’ that was issued in 2000. The story goes that after completing the recordings in the studio Lemmy Kilmister picked up an acoustic guitar and started playing some classics by the likes of Johnny Cash, Buddy Holly and Eddie Cochran. They rest of the guys, Danny B. Harvey and Slim Jim Phantom, were all too familiar with these tunes and they spoke of recording an album together. In 2000 their debut album was released under the title ‘Lemmy, Slim Jim & Danny B’. The album went virtually unnoticed, not because it wasn’t any good, but because of a label who didn’t get behind the album. After a few years of touring the United States, in 2006 their debut album was re-issued under the proper band name of The HeadCat with the title of ‘Fool’s Paradise’. Vocalist/guitarist Danny B. Harvey took some time to speak with Sleaze Roxx about the upcoming HeadCat album ‘Walk The Walk… Talk The Talk’, due July 5th via Niji Entertainment. As many of you know, in addition to Danny the band also features former Stray Cats drummer Slim Jim Phantom and Motorhead’s Lemmy Kilmister on guitar, bass and vocals. ‘Walk The Walk… Talk The Talk’ picks up where the band’s debut album left off and it is a consistent effort that is a mix of sounds from the golden age of rock ‘n’ roll, blues and soul. We caught up with the forthcoming, humble, and grateful Danny B. Harvey while he was doing press for the new album — which is just what you’d expect from HeadCat, and then some. Sleaze Roxx: The band is going under the name HeadCat, but in 2000 you released the album under the heading Lemmy, Slim Jim & Danny B. This thing evolved as a result of the ‘Swing Cats’ Elvis tribute album that you took part in with Slim Jim and Lemmy. 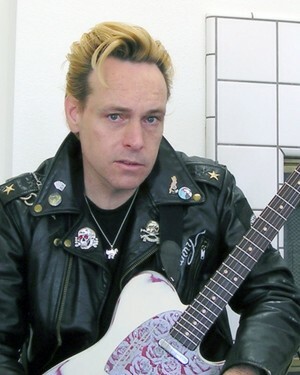 Danny B. Harvey: The Swing Cats was a band that I recorded with that featured myself, Slim Jim Phantom (Stray Cats) and Lee Rocker (Stray Cats). We recorded a couple of albums and when it came time to do the third album Lee wasn’t available. So we brought in Johnny Ramone and I played bass on the two Elvis songs. We called up Lemmy Kilmister and he sang on “Good Rockin’ Tonight”, but when it came time to do “Viva Las Vegas” he said it was in the wrong key so he opted to record some guitar for “Trying To Get To You” and “All Shook Up.” The whole thing went so smoothly that Lemmy said, “Hey why don’t we just record a whole album.” So this band really came out of those sessions. Sleaze Roxx: So you put the album out there and HeadCat evolved into this yearly touring unit? Danny B. Harvey: It’s funny because we threw out all sorts of names for the band — Motorcats and HeadCat. Lemmy went out on a six month tour and we hadn’t decided on a name. So the record company called us to check on the name that we had decided on and we didn’t have one picked. So they went with Lemmy, Slim Jim and Danny B. as the band name. We played a few gigs at Jim’s Cat Club in L.A. and then Cleopatra Records approached us about doing the live DVD. 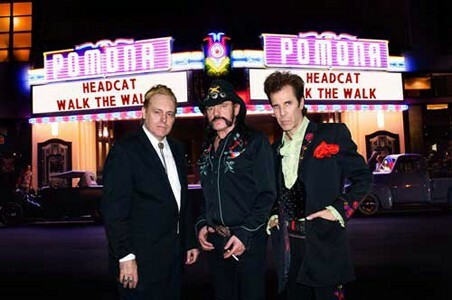 Lemmy agreed to do it, but with the condition that they release the album properly with the name HeadCat and a proper album photo of the band on the cover. We went in to remix the songs, remastered them, and released them as they were meant to be and that’s the result of ‘Fool’s Paradise’. 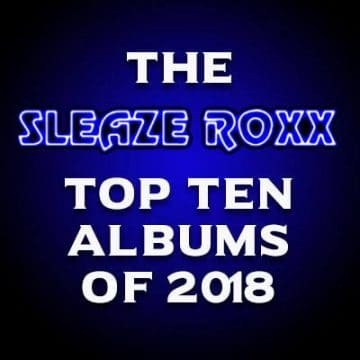 Sleaze Roxx: You have a new album coming out on July 5th entitled ‘Walk The Walk… Talk The Talk.’ Things get kicked off brilliantly with the track “American Beat”, how did that song come to be? Danny B. Harvey: We got some money together and we had a couple of weeks free so we decided that we would use that money to book some studio time and begin to record the second album. We didn’t know what we were going to do — we didn’t know if we’d record songs that we included in the live set or what. Lemmy came in with some lyrics which ended up being “American Beat” and we loved it. Wes Orshoski, who is one of the directors of ‘Lemmy’, heard that song and asked if he could use it in the movie. We said, “Sure, why not?” The version you heard on ‘Lemmy’ wasn’t the final mix. Sleaze Roxx: You recorded some Eddie Cochran and some Chuck Berry on the new album. How did you go about selecting the tracks that made the album? Danny B. Harvey: You know its stuff that we’ve played live primarily — it’s songs we’re comfortable playing. There are a couple songs on there that we haven’t done live. Throughout the years we’ve probably done about 10 Chuck Berry songs in the set. I wish we would have got “Suzi Q” on the album — we were working on an original track that didn’t make the album. Lemmy pointed out that it was just too similar to “Suzie Q” and it was already in the live set. I wish we would have cut “Suzie Q” instead, but we didn’t. 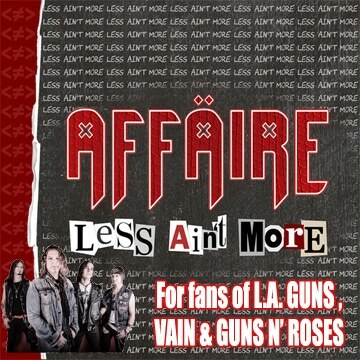 Sleaze Roxx: I’m pleased to see that “Crossroads” made the album because it’s in the live set. It wraps up the album nicely. Danny B. Harvey: I love our version of “Crossroads”, the beat that Jim does on this song is so simple yet frantic at the same time. We obviously got the idea from Cream, but our version is leaning heavier toward the blues with a frantic rock direction. That had to be on here, we’ve closed just about every set with “Crossroads” easily for the past 5 years now. Sleaze Roxx: The recording process was pretty loose I imagine? Danny B. Harvey: The recording process was great. We’d head into the studio at noon and we’d stick around until midnight. We’d casually record stuff and we’d even do the overdubs while we were there. I’d cut the rhythm guitars and immediately cut the solo and stick it on there. It was a lot of fun. It was fast, and within 6 days we had an album. On the first album there were a lot of overdubs, like keyboards and vocals. We made a point that all three of us would be in the studio every day. Jim’s drum tracks were done within a couple of days but he stuck around the studio for inspiration. On ‘Walk The Walk… Talk The Talk’ we decided to do the same thing. All three of us where there once again — I guess you could say that this album was made the way you used to make albums. We’d be there when Lemmy was doing vocals or cutting his bass tracks — we’d be sitting there egging him on. One thing that really frustrated me about Cleopatra Records is that they didn’t do much with the band, even the second time around when they released the album properly under ‘Fool’s Paradise’. I’m glad that HeadCat has found a home with Niji Entertainment, who is backed by a pretty powerful force in the world of hard rock and metal. 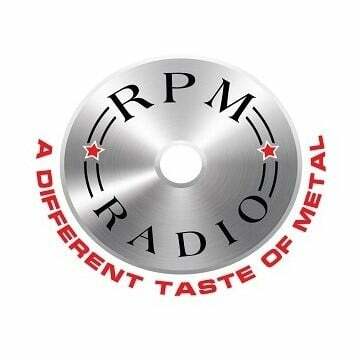 It’s the company that was launched by Ronnie James Dio and Wendy Dio prior to his passing. Sleaze Roxx: How excited are you about being signed to Niji Entertainment? And how did they become involved with HeadCat? Danny B. Harvey: I’m not 100% sure how they heard about us, but I know I heard of them through Motorhead’s management that they were interested. Ronnie, Wendy and Lemmy had a relationship for several years, so I’m sure that helped. I heard from the vice-president of the label that they first became aware of HeadCat through the ‘Lemmy’ movie because we were featured a lot on there. Niji really gets it, they know what we are about and they are very excited to have us… and us them. They are doing promotion for the record and it’s exciting for us to be on a label that is trying to get the word out about the band and the music. 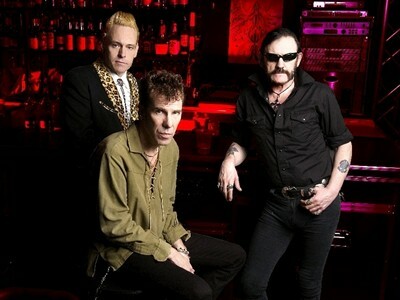 Sleaze Roxx: Lemmy is on tour at the present time with Motorhead. When do you foresee HeadCat going on the road to tour behind the new album? Danny B. Harvey: There might be a little bit of a window in the fall. In past years we’ve taken HeadCat on the road between the months of January and May. There is a window of opportunity in September as Motorhead tour from May through the fall — they do the summer festivals in Europe. Then they play throughout the rest of Europe and Lemmy usually is back right before Christmas. This year, because of the movie, they went on the road a little earlier and they could be back in September. 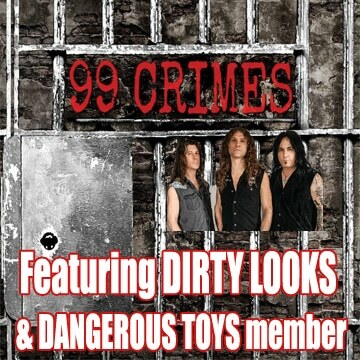 If not it we’ll do some touring in Spring of 2012. There also talk of taking HeadCat to Europe this summer. We’ll see what happens.